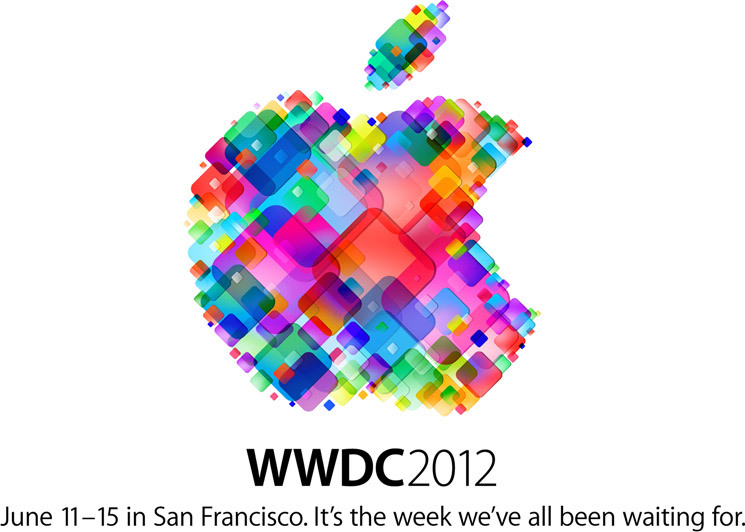 Apple’s WorldWide Developer Conference (WWDC) starts up June 11, and will run through June 15. While this conference remains as the primary location for iOS and Mac developers to meet, converse, and learn from Apple about what to expect in the next year, Apple also uses WWDC to announce its newest products or software updates. With the rumor mill churning, I want to take a moment to examine some of these and put my voice in about what we’re likely to see and what seems more like fluff. We are guaranteed to see Mountain Lion at WWDC. Apple is already on Developer Preview 3 for the OS, so we’re sure to see this big cat raise its head. Apple will likely show off Mountain Lion’s improved iCloud syncing features, as well as talk more about the iOS apps moving into OS X, including Game Center & Reminders. We’ll also see the rebranding and updating of other classic Mac apps, such as Address Book becoming Contacts and iCal becoming Calendar. 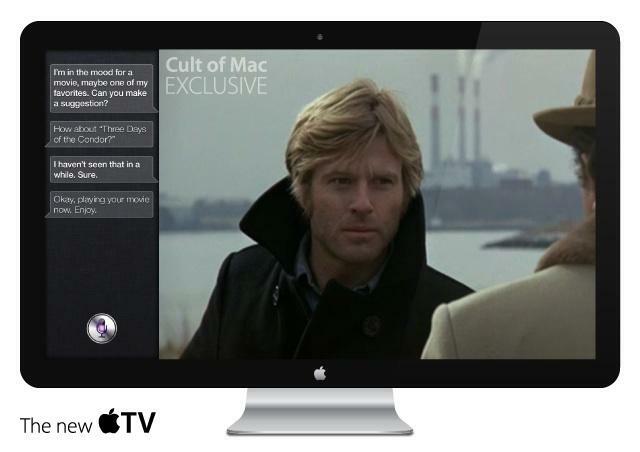 Apple will reveal some of the more notable changes to the OS, such as AirPlay mirroring with an Apple TV & Gatekeeper. Gatekeeper is the program Apple is shipping with Mountain Lion that allows users to set restrictions on app sources. Users can set Gatekeeper to only allow apps to install from the Mac App Store, from registered developers and the Mac App Store, or from anywhere. Some are worried about this being the beginning of Apple locking down Mac like they have iOS, but given the “registered developers” option, we’re not likely to see that soon. While the third-generation iPad is only 3 months old, and the next iPhone likely won’t come out until September or October, iOS 6 has been one of the hottest topics. What will Apple do? Will there be a major redesign? 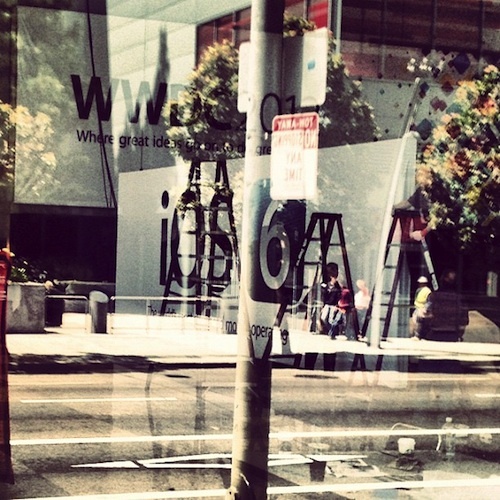 Apple has already displayed a banner with the iOS 6 logo just today, so we know it is on the table. Personally, I’m not expecting a major redesign like Android style widgets, but I think iOS 6 could use a little more revamping. One expected feature is Facebook integration; iOS 5 brought in deep integration with Twitter and the rumors seem to be pointing to Facebook getting similar treatment. As always, we won’t know until Apple tells us on stage what’s coming. The latest version of iWork is still iWork ’09, and many are ready for an upgrade. One of the features touted about iCloud has been Documents in the Cloud, which is supposed to sync the documents, presentations, and spreadsheets between your various Apple devices. However, it really only works for if your Apple device is running iOS. The current version of iWork for Mac doesn’t support iCloud very well, so it only makes sense that we could see iWork ’12 at WWDC. As to what other features iWork ’12 might add besides iCloud capabilities is hard to say, so I would love to hear your input as to what else you would like to see. Honestly, I’m pretty certain we will see updates to the Mac line, but as to what those may be are the only reason I’m giving this a highly likely. The updates are expected for the iMac, Macbook Pro, and Macbook Air. All three have rumors pointing to Retina displays, Intel’s Ivy Bridge chipsets, and better battery life. On the Macbook Pro, however, rumors have been circulating that Apple will remove the CD/DVD SuperDrive and instead use that space for a larger battery or a dual hard disk setup. A dual hard disk setup would likely mean having the Mac OS on a Solid-State drive (giving it speed), while your personal data remains on a traditional spinning hard drive (for space). Apple wouldn’t dare try to go without Ivy Bridge; these chips are both much more powerful and use much less energy than the previous Intel chipsets, so we should see those. I expect all of these devices to get improved displays and better graphics. However, a Retina display seems like too much, and this Cult of Mac article does a good job of explaining why. The short version is that Macs already have amazing quality displays. A minor bump would make them “technically Retina displays”, but not the double resolution that we see on the third-generation iPad or the iPhone. I’m not sure that Apple is ready to remove the SuperDrive yet either. The only Mac that has had a SuperDrive actually removed as of late is the Mac Mini. The Mac Pros, the iMac, and the Macbook Pros are still used by creative professionals who may need the drive for their work. I will note that the chances of us seeing the SuperDrive in a Mac are increasing shrinking on anything that’s not a desktop, and eventually a pro line. If Apple did remove the SuperDrive, they are more likely to increase the battery size rather than a 2-disk setup simply for the ease of the users. While you can manually install a second drive in place of a SuperDrive on the newest Macbook Pros, it is a hack method, and you can only officially get multiple hard drives in the Mac Pro line. Having two drives in a laptop like this could potentially cause problems and user frustration. Simply put, expect improved graphics, Ivy Bridge chips, and better battery life. Don’t expect double-resolution Retina displays or the SuperDrive to be removed from the Macbook Pro. Rumors around the next iPhone have been big in the news. Most people are expecting a major redesign: A 4 inch diagonal screen, improved front and rear facing cameras, the headphone jack moved to the bottom of the phone, a return to a plastic or metal (simply no glass) design, and 4G LTE among other things. With the third-generation iPad supporting AT&T and Verizon’s 4G plans, the next iPhone is almost guaranteed to have it, although Apple has yet to actually confirm it. I do expect to see a better front facing camera (because it could use it) if not both. I doubt the rear facing camera would have a major bump compared to what the iPhone 4S had, but a 10 megapixel rear facing camera seems the most reasonable for that improvement. A better battery is also expected, especially if Apple does come out with a 4 inch screen. I would love to see a bigger screen, and it doesn’t seem unreasonable given that Apple is due in its 2-year pattern for a major hardware upgrade. However, whether or not Apple is willing to make this change means that I’m leary of calling this guaranteed. The headphone jack’s position change could go either way, and I don’t see it as a major issue. would have Siri integration for searching through iTunes and your own collection of media. There is also the possibility of gaining more apps or allowing developers to develop apps and channels to expand the functionality of the current Apple TV (because it is sorely need, that’s no rumor). Apple updated their Apple TV line when they updated the Apple TV. While Internet TVs are moving toward a more integrated setup, like the Samsung Smart TV, I don’t see Apple updating their little box for the next year, and I still see the box as providing a cheaper alternative to an all-in-one TV. Perhaps they will do both, announcements like this at WWDC this year are not likely. The only thing I expect for sure about the Apple TV is for Apple to show off Mountain Lion’s ability to use to Apple TV for AirPlay Mirroring on any TV screen. If Apple was going to announce anything extraordinary about the Apple TV, I would hope they would open up the Apple TV to either run iOS apps (because the Apple TV runs on a modified version of iOS) or create an SDK for developers to write channels for the Apple TV, allowing for the Apple TV to rapidly gain market share in the relatively new Internet TV market. All of this, with the exception of iOS 6 and Mountain Lion, is speculation. What Apple will announce for good or ill won’t be revealed until next week. The biggest news is likely to come Monday, so I’ll be live-tweeting the event Monday, June 11th, at 1 pm Eastern Time/10 pm Pacific Time. So be sure to follow for the latest @EasyOSX on Twitter. A post will be made after WWDC to score how well my predictions came out, as well as any interesting commenters’ predictions.